James Dashner’s much-awaited sequel to Maze Runner has arrived. Thomas, as we remember, is a teenager with no memories and no past. Dumped into the glad, a walled-in compound populated with only teenage boys, Thomas quickly learns escaping is impossible; while the Glade’s walls are open during the day, they automatically shut at night when the Grievers, robotic monsters who sting you into the “Changing,” patrol the constantly-altering Maze. Maze Runner ends with Thomas leading a group of Gladers out of the maze. In The Scorch Trials, Thomas is desperate to locate his telepathic friend, Theresa, the only girl from the Glade, and reach a safe haven, where he and the other Gladers will receive a cure for the deadly Flare. After exiting the maze, Thomas and the Gladers find yet another stop in a diabolical scheme to test how much these brave, post-apocalyptic survivors could take. The Scorch Trials presents Thomas and the remaining Glader’s next challenge – two weeks to trek across a desert landscape, avoid Cranks infected with the Flare, and dodge his own predicted death. The Scorch Trials is a story about perseverance, new life, and the importance of one’s past. Even though Thomas can’t trace his history, he continues racing forward in search of a future, even though he’s not sure of its promise. Has Thomas earned the right to stop running? 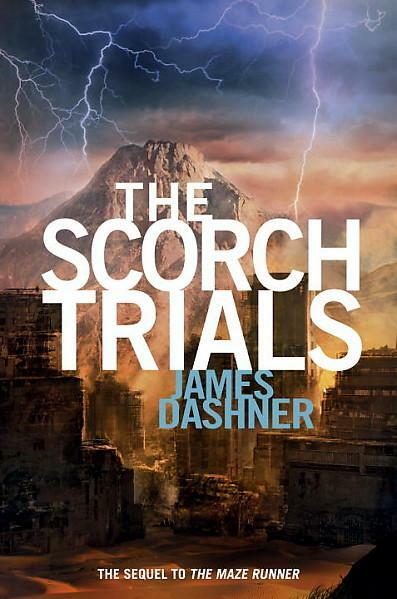 Read The Scorch Trials, James Dashner’s second book in The Maze Runner trilogy, to find out.